Never before in the human history has there been a marketing channel quite like “Search”, which is a form of advertising provided by all the major search engines like Google, Bing and Yahoo. I am a firm believer that search advertising is one of the most powerful forms of advertising (at a fraction of the cost of other channels). With a properly set up Search campaign on Google or the other engines you can start receiving customers within hours of launching. I made a bold statement above, allow me to qualify it. Imagine having the ability to present your offer to potential customers at the exact moment in time they are looking for what you have. This is exactly what you can do with search marketing, and is relevant in some way for practically all organizations. Due to these factors and the considerations I have explained above, search has arguably the lowest cost per conversion and highest Return on Investment in relation to all other conventional forms of marketing. One of the most important things about this type of marketing is that you only pay when someone clicks on your ad. This is why it’s called “Pay Per Click” (PPC). the problem with all this talk about “clicks” is that it is easy to overlook the fact that a “click” is actually a very qualified prospect (and real human being!) 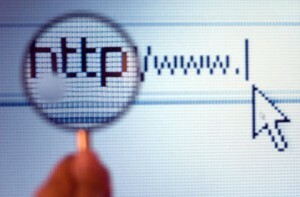 hitting your website, who you have the perfect opportunity to make your offer to. What do I mean by qualified prospect? First of all they have searched for a keyword you are targeting, so there is already a certain amount of proven interest there. More importantly, however, they have seen your advertisements and been interested enough in what they saw to CLICK on it! What more could you ask for!? Unlike other advertising, you can do more than just publish your ads, cross your fingers and hold your breath. There are very simple but powerful tools Analytics tools that you can keep a close eye on the performance of your campaigns, to figure out which of your ads/keywords are generating the most clicks and which are converting to sales, leads, sign-ups, downloads or page views. Based on this data, you can refine, optimize and improve your campaigns, leading to better results and profits. No matter what your business, you should have some search marketing presence. If you don’t feel like learning the ropes yourself, I encourage you to find an expert to help you. Since you’re targeting your ideal potential clients so effectively, I can practically guarantee it will provide a positive return on investment!